Brew, Drink, and Be Awesome. Kevin smokes 100 lbs. of malt at a time in this rotating 55-gallon drum. Smoked beers are another style of beer that homebrewers either love or hate. Brewers are either enraptured by the smoky character, reminiscent of barbecue, or say the beer tastes like an ashtray. If you like smoky beers, there are commercially-smoked malts available, including Weyermann’s Rauchmalz (smoked with beechwood), Briess’ Cherrywood Smoked Malt and peat-smoked malts from various maltsters. However, if you’d like smoked malt from the hardwood of your choice, smoking your own malt at home is very straightforward. I’ve smoked malt at my house on my Weber grill before. However, before writing this article, I spoke to Kevin Glenn, who not only brews professionally at Bastrop Brewhouse, but smokes small lots of malt for various breweries. Kevin’s birchwood-smoked malt went into Jester King’s Gotlandsdricka. 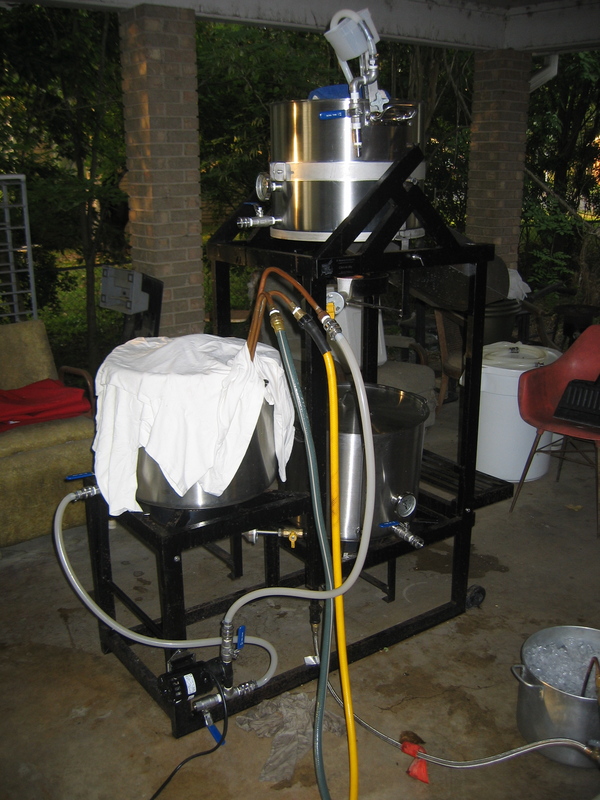 Kevin’s malt smoking setup is based around a 55-gallon drum (that formerly held liquid malt extract). The drum sits on four wheels that rotate the drum to stir the malt. There is a hole cut in the side of the drum, that seals with a Corny keg lid, so malt can be poured (through a funnel) into the drum. To the side, a hot box holds the heat source and hardwood. Kevin cold smokes his grain, so the malt is only exposed to a little heat. He smokes two sacks of malt (100 lbs./45 kg) at a time, but only burns 3 or 4 charcoal briquettes to do so. The briquettes sit in a cast iron pan and heat the hardwood chunks, which are soaked in water so they will smoke. Before pouring the malt into the drum, he pours 4 cups of water over it and mixes it to even out the moisture. This moisture helps the smoke stick to the grain. Kevin runs his malt smoker for 3 to 4 hours, by which time the moisture has evaporated. 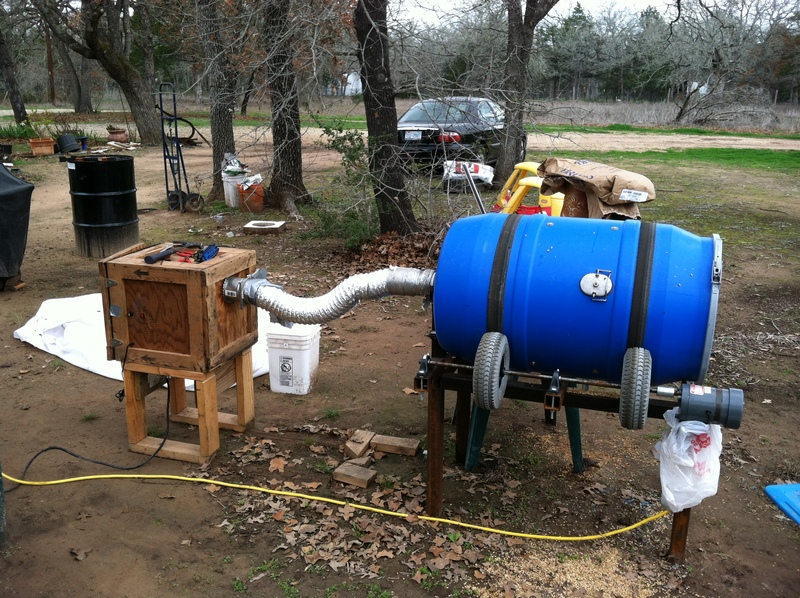 You can smoke malt on a smaller scale with just a grill or BBQ smoker. Here’s how. While chilling with my immersion chiller, I cover the kettle to minimize the amount of airborne contaminants settling in the wort. One possible drawback is condensation dripping back into the wort, but I have not encountered elevated DMS levels when chilling this way. Whatever the boundaries, the idea is sound — there is a range of wort temperatures that support the rapid growth of contaminants to the extent that they can cause problems in your beer. Knowing this, there are some steps that homebrewers should take to ensure a higher level of wort sanitation. During the summer months, one thing many homebrewers struggle with is keeping fermentations cool. One common method of cooling is the wet T-shirt method. 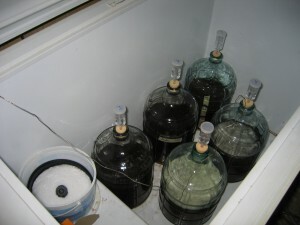 This is a simple, but effective, method of cooling carboys. As someone who has used this method extensively (even after getting a chest freezer), I thought I’d share a few tips. The basic idea of the wet T-shirt method is to put a wet T-shirt over a carboy, and let the heat loss from evaporation cool the carboy and it’s contents. For continual cooling, the carboy can be placed in a container with water at the bottom, so water wicks up the T-shirt as it evaporates. Those large, 100-qt. (95-L) picnic coolers will hold two 6.5-gallon (26-L) carboys. Brewers also use trashcans for this. Beer and Wine Journal is provided free of charge to anyone who would like to read it. If you enjoy our content, you can show your appreciation by purchasing a signed copy of Chris's book, Methods of Modern Homebrewing (2017, Page Street) or by donating to the site via a "subscription," or by making a one-time donation. James and Chris thank you for your support. Make a one-time donation with the button below.